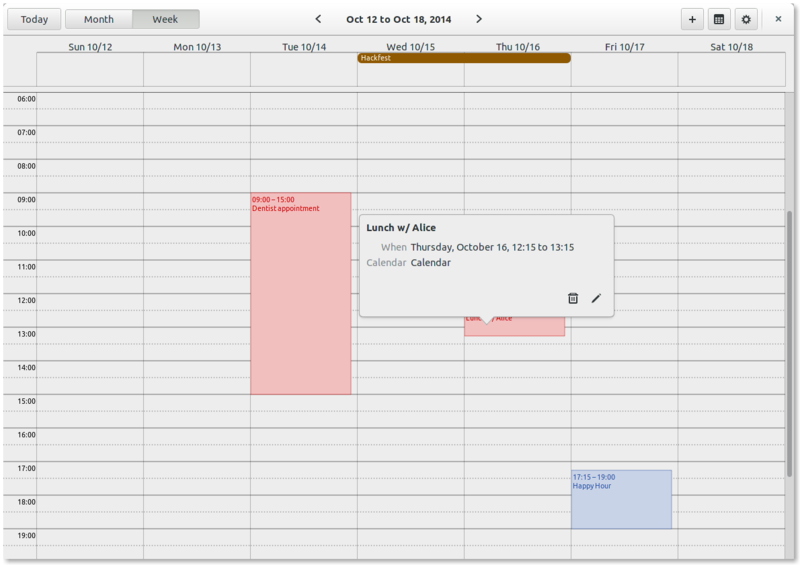 calcurse brings you an scheduler, todo list and a calendar in a single package. It also supports notifications to remind you of you upcoming events. calcurse is based on the curses library and has an easy to use interface. It is very easy to setup and use calcurse, thanks to the easy navigation. Press Enter after you start calcurse to use options for each component. Tab jumps between components and shows the options. The configuration file is ~/.calcurse/conf. You can change the existing options to alter the behaviour of the applicaiton. To get notifications even when calcurse is not running, change notify-daemon_enable to yes in the config file. It is possible to import Google Calendar events (exported in ics format) to calcurse using the Import option. 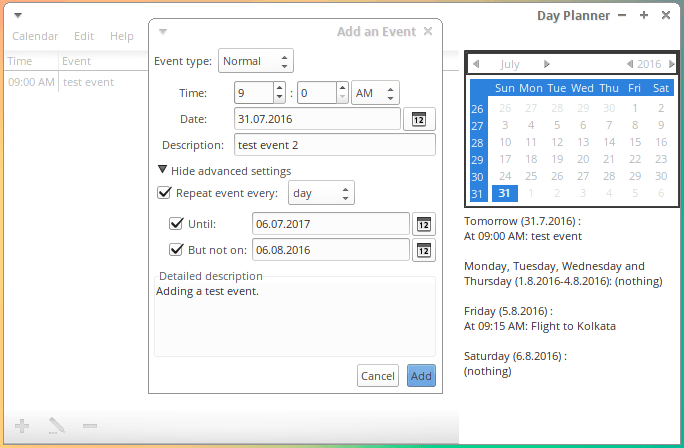 Wyrd is a text-based front-end to Remind, a sophisticated calendar and alarm program.